Now features 5 main LED indicator lights and three new adjustment buttons all on the front panel, controlling enhanced sensitivity EMF, & baseline features for both temperature and EMF field. 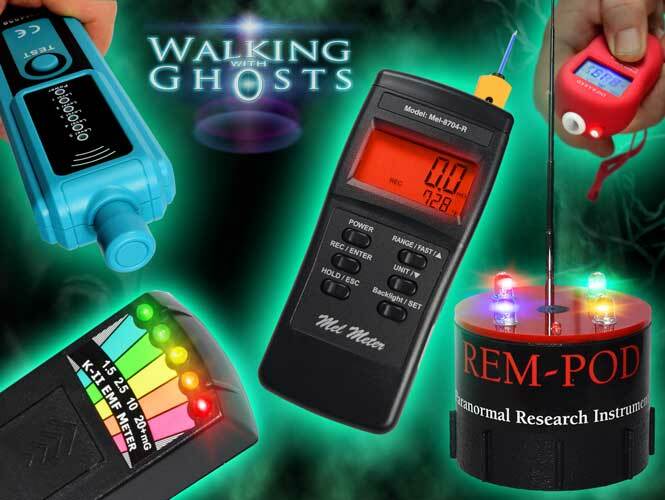 The now world famous (as seen on TV) "Rem Pod" is a device specifically designed for paranormal researchers buy the top name in paranormal equipment manufacturers DAS in the USA. The REM Pod is a cylindrical shaped device that measures and responds to environmental changes thought to be associated with spirit activities. It has an extendible antenna that covers a full 360 degrees range and detects electrical energy disturbances and fluctuations in the atmosphere. It then lights corresponding LED lights on the pod in relation to the strength of the signal detected along with audible tones. "REM" translates to "Radiating Electro-magnetically" An additional feature of this model also includes The "ATDD" function or "Air Temp Differences" this alerts the investigator if the surrounding ambient temperature increases or decreases, the REM-POD will signal an alert every +5 or-5 degrees Fahrenheit. Easy to view Red, Green, Blue & Yellow and Purple Bright LED Indication lights • Audible Tones Correlating To Field Disturbance • Red Acrylic back-it surface • REM Sensitivity allows Instantaneous Response To Field Fluctuations & Spikes • Mini Telescopic Antenna provides 360 Degree Coverage • Monitor and detect a +5 deg. / -5 deg. ambient temperature (deviation) within the environment. 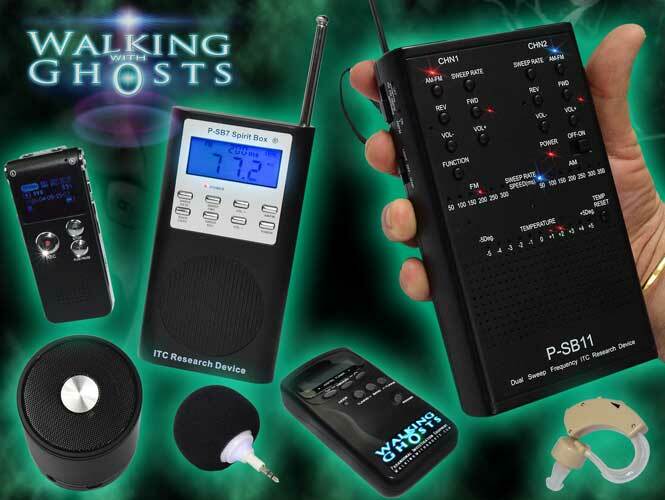 At Walking with Ghosts we often use the REM pod to try and make communication with spirits by requesting that they move close to the device in response to our questions, by utilising this energy the lights can sometimes flash on command or the temperature sensor can be triggered . They can also be used in multiples to try and track movement of energy across a room or area. The REM pod is very portable and easy to use the LED light are set bright enough to be a clear indicator in both light and dark conditions but are not so bright as to blind you in a darkened room.